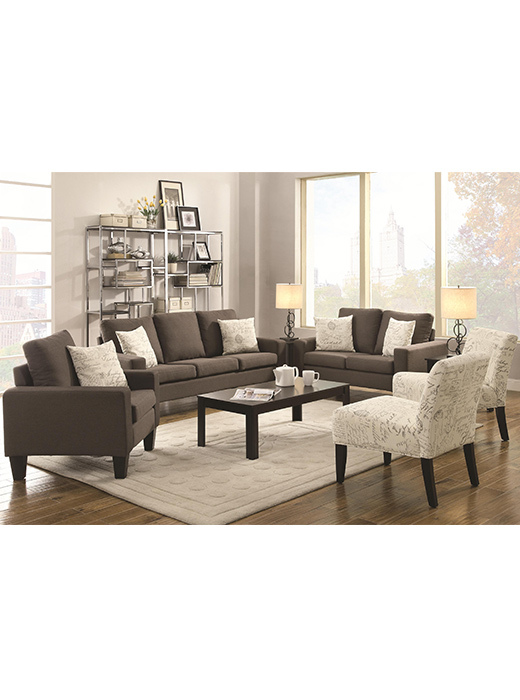 Add this to your living area for a place to sit and relax. 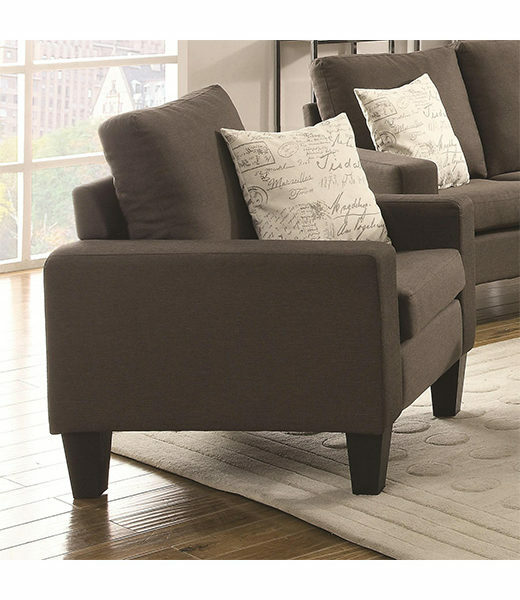 Linen-like fabric, tapered dark wood legs, and track arms. Add this to your living area for a place to sit and relax. 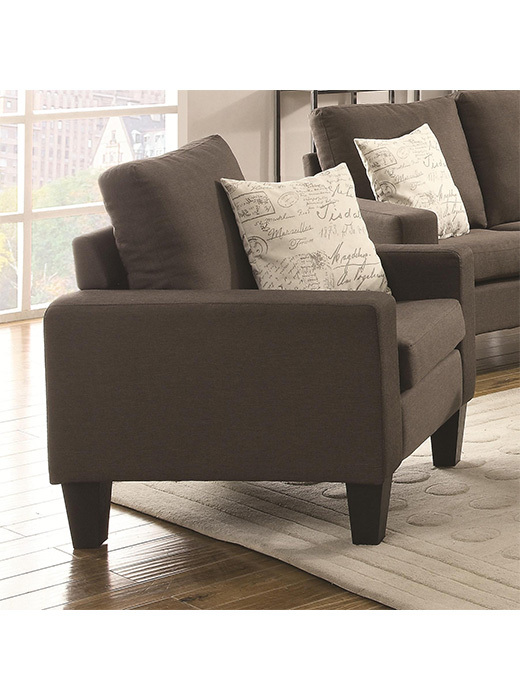 Linen-like fabric, tapered dark wood legs, and track arms. Made with a durable wood frame, and a spring base. Comfortable and stable for heavy use.